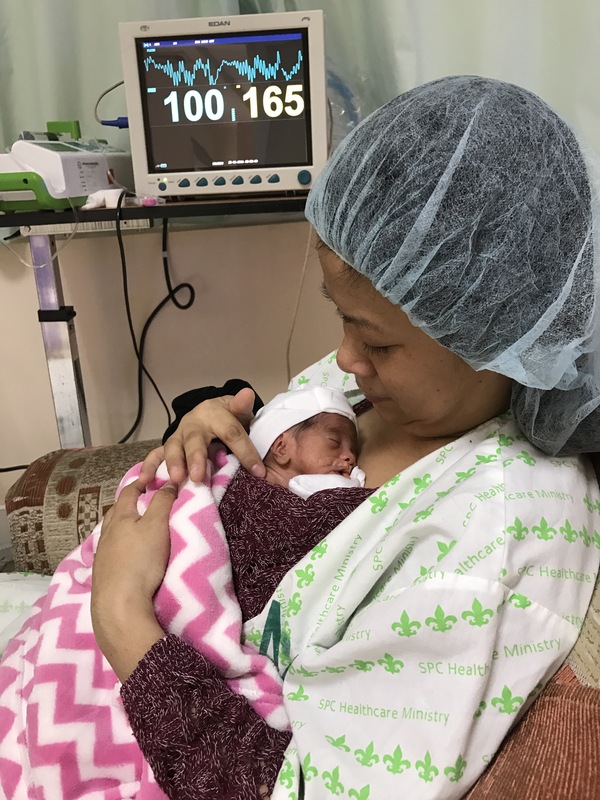 Skin-to-skin-contact between a mother and a newborn has indeed offered several benefits especially on the part of the newborn, premature babies most specifically. It allows the normal bacterial found in the mother skin to “fly” into the nose/mouth of the baby that he in turn swallows, populating his immature intestinal network. The newborn’s intestinal epithelial cells are full of gaps that a foreign body (allergen, or even pathologic bacteria) can gain access to enter the baby’s circulation system, leading to earlier expression of allergy, or systemic infection, respectively. But with the presence of the friendly maternal bacteria swallowed by the baby, the immune system found at the terminal ileum, (gut-associated lymphoid tissue, GALT; otherwise known as Peyer’s patch) is stimulated to release secretory IgA, sIgA, that will help coat the cellular gaps and now protect and guard these gaps from being accessed by allergen or pathologic bacteria. Allergy expression, especially among babies with family history of allergy, can be delayed; infection by patholgic bacteria can be nil to minimized. 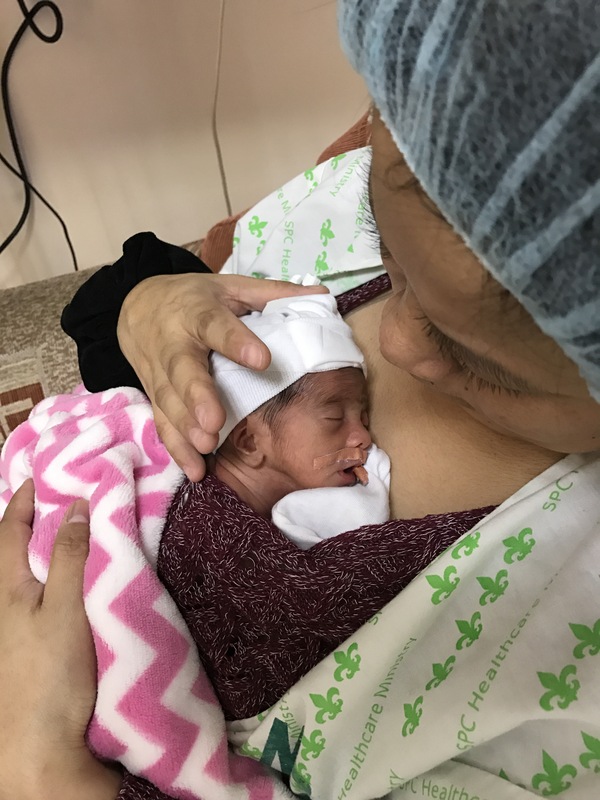 This simple procedure also provides comfort, relief from pain on the part of the baby, faster transition from gavage feeding to full direct breastfeeding, faster weight gain, and better maternal-infant bonding. As exemplified in the photo above, the baby has 100% oxygen saturation while breathing room air. There is also greater proportion of infants who undergo skin-to-skin contact to prefer exclusive breastfeeding. A previous study has established that baby who were breastfed in their infancy were likely to have better employment in their adult life. I guess this stems from the fact that the skin-to-skin-contact promotes a good psychological bond between the mother and the infant. This then will eventually lead to the toddler developing a good sense of security and independence, great trait that enables to have better social relationships with peers, and thus work mates, and intimate relationships. (Pictures taken and posted with permission).